It has only been within the past few decades that victims of childhood sexual abuse have gained recognition, validation, and appropriate treatment, but the process has been somewhat of a roller-coaster ride. From the mid-1970s into the 1980s, there was a rapid increase of identification of abuse victims, along with development of support programs and agencies to handle reports and treatment. With the rise of reported cases, some considered it an epidemic, although more likely it had always been epidemic but ignored. Disclosures came not only from children, but also adult survivors whose memories of childhood trauma had been locked away, only to emerge within a supportive, therapeutic relationship. What followed was a legal knee-jerk response in which some mental health professionals were accused of evoking false memories in their clients. Casting doubt on survivor amnesia or delayed recall became a focus in court trials, further traumatizing victims on the stands. Having emerged from this unfortunate setback, we now have the benefit of a growing body of scientific research showing evidence of a neurobiological response to trauma and the fragmentary way in which trauma memory is stored in the body. These body memories persist long after abuse occurs and continue to be held even when survivors have made significant strides in cognitive retrieval and resolution of their trauma issues. Treatment for survivors of childhood sexual abuse is a highly specialized field, in part because of the complexity of issues involved in both the original trauma and in the psychological and physical symptoms that can emerge in the aftermath. Psychiatrist Judith Herman, in her groundbreaking book “Trauma and Recovery” (1992), writes, “Repeated trauma in adult life erodes the structure of the personality already formed, but repeated trauma in childhood forms and deforms the personality.”2 The end result is an adult who has established coping patterns outside of the realm of normal development and usually presents with a laundry list of somatic and emotional complaints. Psychotherapy has been and continues to be the first-line order of treatment for these survivors and is imperative to assist them in working through deep-seated impairments in trust, relationships, and self-perception. For many, the adaptations they created to cope with the abuse will later emerge as maladaptive barriers to healthy functioning in adult life. While verbal therapy is critical to retrieval and integration of the fragmented mind, there is another aspect to recovery that has more recently gained attention and validity: that of retrieving the body as well. Recognition that the body holds the scars of trauma has led to increasing use of bodywork as an adjunctive treatment for survivors. In addition to traditional massage, some therapists have developed specialized modalities, such as Chris Smith’s Trauma Touch. Other somatic therapies integrating aspects of body awareness and emotional release as part of a body/mind approach are also helpful. An offshoot of this trend has been the exploration of integrating psychotherapy and bodywork, as a collaborative approach between two professionals or provided by a single therapist qualified in both areas. In all cases, no matter the modality, it should be stressed that the client remain under the care of a psychotherapist. As the bodywork sessions continued, both Timms and Connors became aware of the immense gains made in Timms’ own health and recovery, and the seed was planted for combining resources to help Timms’ psychotherapy clients. The model they developed — teamwork between psychotherapist and bodyworker — allows each therapist to stay within the realm of their practice while integrating their work in sequential or combined sessions. As many as 20 percent of female clients walking into a massage therapist’s office could be a survivor of childhood sexual abuse, even the therapist herself. In a 1998 national survey of women, the incidence was reported as one in five,5 but those were just the ones willing to disclose. Estimates on prevalence can vary widely depending on location, population, and definition of the term, with some as high as 50 percent.6 Research has shown female victims traditionally outnumber males, but as noted in recent news reports, many young men are also turning up as victims. As Timms and Connors point out, because the body was integral to the trauma, it is also integral to the healing process. In the past, psychotherapy was a stand-alone treatment, and it remains a necessary element for processing and reframing the psychological effects of abuse. But with the growing understanding of body/mind connection, there has been increased interest and practice of providing adjunctive bodywork to facilitate wholeness. For some clients, after years of verbal therapy, there comes a time when they need and want to reclaim the body. It is important to note that not all survivors are appropriate candidates for this approach, and it is the psychotherapist’s responsibility to determine if and when they are. Several factors come into play, includ-ing ego strength, level of dissociation, potential for psychosis, and the readiness of the client to explore this option for resolution at a deeper body level.14 “I wouldn’t want to recommend it for clients who dissociate at the drop of a hat,” Timms says, nor for clients who are hostile and angry. Those who are depressed, touch-deprived, or living an isolated or lonely lifestyle are likely good candidates, he says. Returning to body awareness is a key goal for all of these approaches, but the process goes beyond simply reintroducing touch at a level of safety. “It bypasses the rational cognitive system of the brain and lets you go directly into the memory,” Timms says. In the psychophysical model, bodywork is used to facilitate emotional release of muscle memory, which can also aid in retrieval of repressed or amnesic memory. When this occurs, the psychotherapeutic component is in place to help the client to work through and benefit from this stage of healing. “The common element we see in trauma is betrayal: The more severe the degree of betrayal of trust, the greater the psychological damage to the child, and the more trauma for the adult survivor,” Timms and Connors say.16 The issue of trust becomes of prime importance in facilitating the healing process as does enhancing the client’s ability to set boundaries. “The massage therapist has to find the appropriate touch for each individual client,” Timms says. He recounts the case of a woman so traumatized “she had shut down almost everything about her body.” After five years of psychotherapeutic work, Timms introduced her to bodywork with Connors. But even at that point, with a trusting relationship with Timms, her fear was so extreme that touch in the first few sessions was limited to massage on one hand only. Timms says it’s the immediacy of touch, and the caring and nurturing it conveys, that makes it highly therapeutic. In his own teamwork with Connors, he’s seen miraculous examples of survivors who had been shut down in their body and after bodywork, were able to regain that connection. The healing benefits observed in the psychophysical model, as well as other bodywork approaches for childhood sexual abuse survivors, are similar to those documented in studies of body-oriented therapy conducted by Cynthia Price, Ph.D. As a psychotherapist and massage therapist with a background in women’s healthcare and counseling, Price’s interest in research led to doctoral training in nursing science, during which she developed a body-oriented therapy protocol for sexual abuse survivors. Having worked extensively with this population, she noted their avid interest for including bodywork in their recovery and wanted to test its efficacy. The body-oriented protocol differs from standard massage in that a number of elements are added to focus on sensory and emotional awareness, with the goal being an integration of body and mind. 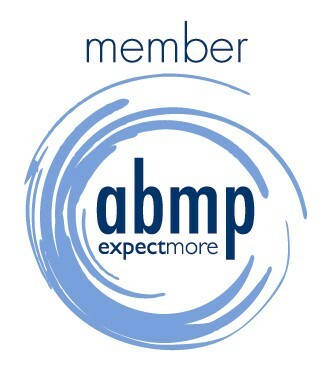 Addition-ally, the combined hands-on and verbal therapy utilized in the approach is administered by master’s level psychotherapists who are also licensed in massage. This therapeutic work is an adjunct and not a replacement for the participant’s ongoing work with their individual psychotherapist. Within body-oriented therapy are a graduated series of steps, taking the client from body literacy and the development of language to describe what they are experiencing, to body awareness exercises, and then into “delving” practice in which they maintain presence in their awareness. In body literacy, which also involves massage, Price says, “The work really is about being present — to bring their attention to what is happening to their bodies.” The next stage, body awareness, is an intermediary step, moving from more external to internal awareness, using specific tools to attend to the subtle differences. “For example, participants were asked to concentrate on moving their breath on exhalation down through a limb and to feel the movement of the breath as it flows through the limb,” Price says. Therapists in the study were given a protocol for handling dissociation — how to identify, assess, and address it — an important skill in this or any type of bodywork, Price says. “From listening to audio tapes of sessions, in the massage group there was no obvious indication of dissociation. It didn’t show up in massage in ways that were obvious to the clinician or got in the way of the therapy.” These participants were more focused on being present and attending to the experience of massage which stimulated behavioral awareness — for example, “increased awareness of ways in which they were not connected to their bodies, of the relationship between their abuse and their lifestyle behaviors,” Price says. Body-oriented skills, such as delving, help the client to experience being in their body without dissociation. Staying with their inner connection, observing, and accepting it, can bring a sense of inner control and peace. The responses of this group indicated they continued to use body awareness techniques after the study, to maintain that inner connection and awareness. “I think certainly there is a relationship there,” Price says. More awareness of the dissociative process, the triggers, and what happens in the body when it occurs increases curiosity and comfort in attending to it, she says, while avoidance of this inner experience can contribute to ongoing dissociative patterns. Although the body-oriented model has only been used by Price in her research, her long-term goal includes funding for larger studies. If efficacy is found for a larger sample size, it might generate interest for including this type of work in healthcare venues such as treatment facilities and clinics, she says. Comments from some of the subjects’ psychotherapists, while not included in the study data, indicated improvement in the client’s recovery process, as did the subjects’ reported responses. As a backlash to abuse, aversion to touch leaves some victims touch-deprived. “I think touch deprivation for women who are not in a partnered relationship is an important benefit of bodywork,” Price says. “It involves learning that touch can be pleasurable, and experiencing being receptive — taking in the touch.” Even those in a relationship and receiving touch may have difficulties with intimacy and feeling comfortable sexually. “Regard-less of the partnered piece, it’s important. It goes hand-in-hand with all pieces of the pie — regarding self-awareness, the experiences of safe touch, letting themselves take in the pleasure of touch, but also putting themselves in control of the experience of being touched.” In establishing that control for the client, the therapist has an important role, regularly checking in and encouraging clients to attend to and express their needs. These are but two models in a developing field combining elements of psychotherapy and bodywork in treatment for childhood sexual abuse survivors. Both Timms and Price emphasize the need for proper training in this work and beyond that, the importance of professional or peer supervision, not only for clarity and direction, but also as a source of personal support for the bodyworker or psychologist involved. These cases can be complex and taxing on the energy of the therapist. The important thing to remember is the significant impact this work can have in bringing wholeness — as Timms and Connors write, to help victims become not only survivors, but thrivers. To give them opportunity and skills for a new kind of relationship to self and body so that “the traumas of the past can recede into historical perspective.”25 With this, they will be better prepared for the challenges of their present life. 1 Timms, Robert, Connors, Patrick. Embodying Healing: Integrating Bodywork and Psychotherapy in Recovery from Childhood Sexual Abuse. Brandon, VT: Safer Society Press,1992. p. ix. 2 Herman, Judith. 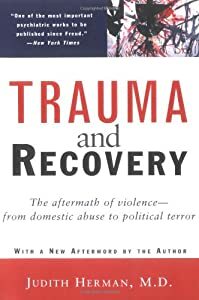 Trauma and Recovery: The aftermath of violence — from domestic abuse to political terror. New York, NY: Basic Books, 1992, p. 96. 5 Adult Manifestations of Childhood Sexual Abuse. American College of Obstetricians and Gynecologists. Available at http://www.medem.com/medlb/article_detaillb.cfm?article_ID= ZZZMXNDEKEC&sub_cat=351. Accessed Oct. 2005. 6 Field, Tiffany, et al. Effects of sexual abuse are lessened by massage therapy. Journal of Bodywork and Movement Therapies Jan 1997, (2): p. 65. 9 van der Kolk, Bessel A. Fisler, Rita. Dissociation and the Fragmentary Nature of Traumatic memories: Overview and Exploratory Study. Available at http://www.trauma-pages.com. Accessed Oct. 2005. 18 Price, Cynthia. Body-oriented therapy as an adjunct to psychotherapy in recovery from childhood abuse: a case study. Journal of Bodywork and Movement Therapies 2002, 6(4): pp. 228-236. 19 Price, Cynthia, Body-Oriented therapy in sexual abuse recovery: a pilot-Test comparison. Journal of Bodywork and Movement Therapies. In press. 20 Price, Cynthia, Characteristics of women seeking bodywork as an adjunct to psychotherapy during recovery from childhood sexual abuse. Journal of Bodywork and Movement Therapies 2004, 8(1): pp. 35-42. 21 Price, Cynthia. Body-Oriented therapy in recovery from childhood sexual abuse: an efficacy study. Alternative Therapies in Health and Medicine 2005, 11(5): p. 46-57. 25 Timms, pp. 14, 48. Gallery | This entry was posted in Energy Medicine, Holistic Healing, Hypnosis, Massage, Massage Therapist, Our Center, Therapeutic Massage and tagged Child abuse, Child sexual abuse, Posttraumatic Stress Disorder, Psychotherapy, Sexual abuse, Support Groups, Survivors. Bookmark the permalink. Pingback: Mind-Body Connection and Abuse | Jeannine K. Vegh, M.A., I.M.F.T.